-There are huge disparities in the way farriery has developed around the world. -There’s a growing interest in equestrian sports and horsemanship in many emerging countries. -Horses travel and are traded from continent to continent. Competent farriery plays a major role in their acclimatisation and performance. -Farriers need help to keep up with the latest techniques. • The FAF is a non-profit foundation whose purpose is to improve the quality of farriery in countries where these skills are not taught. 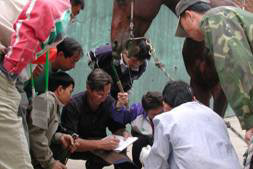 • Its method is to set up training projects for under-resourced farriers to enable them to become true professionals. • Its ideal is the wellbeing of horses through the better understanding and application of modern farriery. 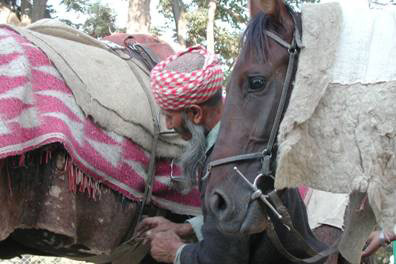 • The FAF’s priority is to support fellow farriers in remote areas. • The importance of farriery is little understood in many countries. The FAF aims to make it attractive to young people through well-organised training. • It is therefore developing appropriate training tools and methods while setting up a network of instructors to give courses in selected countries. • Mexico and India have been earmarked for the initial training projects. • The Foundation is establishing training structures that can be locally managed after a couple of years. The FAF then assumes a supervisory role to ensure the project’s sustainability. • Your help, involvement and support will make the anvil fly. • The formalities have been completed. 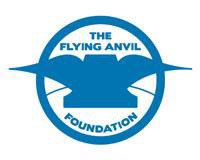 The Swiss federal authorities have approved the statutes of the Flying Anvil Foundation and the name is being registered with the Geneva chamber of commerce. • As a founding member, your generous contribution will enable the FAF to launch a worthy and worthwhile project. Globalization is unstoppable. We need to promote intelligent globalization in farriery. All those who work with horses will benefit from it. An ambitious and worthwhile initiative ! On the different chapters within our web site you will find full details of the FAC company philosophy. Globalization is unstoppable. Let us create intelligent and sustainable globalization in the field of farriery, which will benefit all the actors in the equine world !